The Oyo State House of Assembly has summoned the state Ministry of Justice and its education counterpart to appear on September 27 over ownership status of Ladoke Akintola University of Technology, Ogbomoso. Oladeji said the move would address the critical issues and crisis bedevilling the institution after Governor Rauf Aregbesola of Osun, co-owner, failed to fulfil his state’s financial responsibility to the institution. She said that such action has threatened the joint ownership of the institution. In his contribution, Adesina (Ibadan South-East I/Accord), said that there was need to resolve the issue of joint ownership of LAUTECH since Osun has established its university and no longer ready to fund LAUTECH. 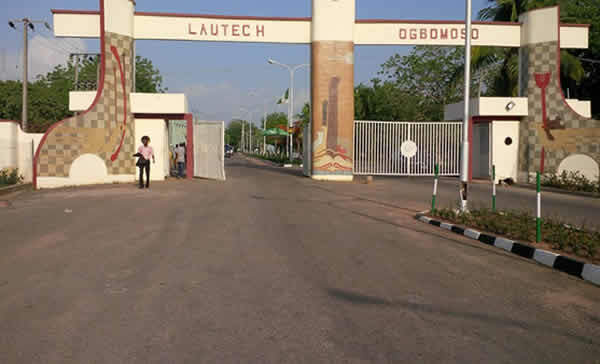 The Chairman, House Committee on Parliamentary Matters, Mr Olusegun Ajanaku (Ibadan South-West II/APC), said that the issue of LAUTECH was a national matter. He said it was an issue that requires more work between the two parties involved. The lawmaker urged people of Ogbomoso to be patient and allow amicable resolution of the issue between the two parties. The cosponsors include, the Deputy Speaker, Mr Musah Abdulwasi (Saki West/APC); the majority leader, Mr Kehinde Subair (Ibadan South-West I/APC); Mr Peter Oyetunji (Surulere/Ogo-Oluwa/LP); Mr Akeem Oladipo (Ibadan North West/APC) and Mr Jimoh Akintunde (Ibarapa North & Central/APC). Others are, Mr Afeez Adeleke (Iseyin/Itesiwaju/APC), Mr Fatai Adesina, Ibadan South East I/Accord) and Mr Lukman Balogun (Oorelope/LP).